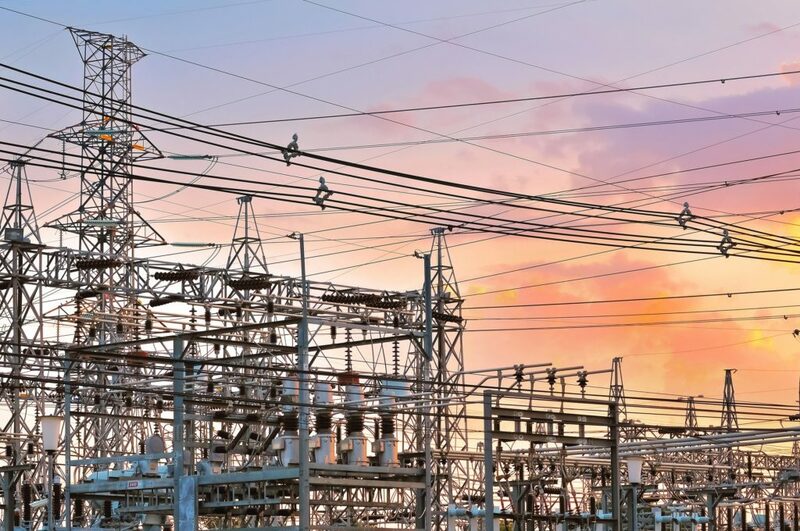 As the demand for power increases in the UK and further afield for domestic, industrial and commercial uses, so the need for reliable power generation, transmission, and distribution using Medium Voltage cables has risen with it. Graham Turner of AEI Cables looks at the future. Power plant – transformation station. Multitude of cables and wires. The demands for power has never been greater, with the explosion of development in towns and cities across the UK and the growth of industrial development and technology reliant on consistent supplies. Medium Voltage (MV) cables coming onto the market should be independently approved and certified as compliant as the pressure mounts on the installation of quality products in modern building developments. As the incidence of non-approved cables continues, the supply chain should be particularly careful around the application of these cables into high-risk environments including hospitals, industrial sites and sub-stations serving infrastructure sites. MV cables are crucial to our infrastructure. Electricity leaves the generating site and is routed via a step-up transformer to take it up to the National Grid distribution voltages of 400Kv, 275Kv and 132Kv. Once in the local area, the supply goes through step-down transformers that reduce the voltage to 415V with domestic supplies tapped off at 230V. To facilitate moving electricity around the National Grid, there are almost 4,500 miles of overhead lines, almost 1,000 miles of underground cables and 342 Grid substations. Once stepped down, power is then distributed on local networks at a lower voltage, commonly 66Kv, 33Kv and 11Kv. In all, there are 14 licensed District Network Operators (DNOs). Very often, the supply of power to consumers of large volumes of electricity is routed via sub-stations to feed large sites such as industrial installations, hospitals and educational institutions. To provide power to the sub-stations – very often located on the premises of the establishment that they supply – Medium Voltage (MV) cables are used. MV cables were only developed as the level of voltages increased and the need arose for a greater classification range. The size of the market has developed to the point where the global MV cables market was valued at 39.31billion US dollars in 2016 and projected to grow at a rate of more than six per cent until 2022. The technical design and specification of the cables themselves is of paramount importance within the power distribution network. There are a number of technical considerations to be taken into account including the size of the installation, the position of the installation in relation to the network and the presence of primary and secondary sub-stations. Prior to installation, a detailed route survey should also be carried out to plan where cables will be jointed and to identify any possible obstructions which may require special civil engineering works such as directional drilling. Underlying the critical nature of supplies to these types of services, the incidence of non-approved cables continues, so the application of MV cables into these important and sensitive environments becomes critical. There have been many instances in the recent past of non-approved cables coming onto the market, but in these environments it is even more crucial to get it right first time, thereby reducing the risk and the cost of anything going wrong. Look for the British Standard, European or international standard number, the manufacturer’s mark and third-party approval markings. Even if there are markings, it is worth checking because some labels and stamps have been used fraudulently. Cables which are unmarked but not checked can become untraceable so it is important at the point of receipt for contractors to check every time. Also keep records of purchase and delivery to ensure that what is being installed is what was specified originally. It is well worth the small amount of time to make these checks, especially as these cables are buried and relied on to provide continuous power supply. In a number of instances cables are even being laid under the sea to avoid lengthy and costly delays in seeking permissions from landowners. Some cables are provided with an armoured layer to help protect them against damage whether installed below or above ground, generally for industrial applications. Armouring also protects a cable during storage, transport to site and installation. Metallic armouring is always earthed at one or more points in the circuit and may therefore contribute as a protective conductor to carry earth fault current. Modern polymeric-insulated LV and MV cables designed for UK utility use are usually not armoured but have a concentric layer of copper wires under the outer sheath. Faults in underground cables are very expensive to repair, especially cables installed under roads and pavements. Repairing a fault will probably involve cutting out a length of cable either side of the fault and installing a new length together with joints to connect to the existing cable.MV cables are subjected to extensive testing of material components and electrical tests including AC voltage and partial discharge. At AEI Cables, we supply products to construction, industrial, fire protection, defence, mining and rail industries worldwide meeting the requirements for MV cables to BS 6622 and BS7835 and the highest relevant industry standards including ISO 9001 ISO 14001 and ISO 18001 for ranges up to 500kV. These products are also approved by leading independent approvals organisations nationally and internationally including BASEC, LPCB and Lloyds. Third-party approval verifies that they can pass rigorous testing in the conditions in which they will operate. The demand continues for MV cables of quality which can consistently supply power to meet the growing challenge in whatever form it is presented.